​John Addison has over 20 years of experience working with players and teams at every level, from youth leagues to the professional level, in both a coaching and consultative role. During these years he's spent thousands of hours working with players in one-to-one, small group, team and camp environments. John most recently served as the top assistant at NCAA Div.II William Jewell College from the 2012-2013 season through the 2014-2015 season. ​Having played for, worked for and consulted with some of the best coaches at all levels, John has had the opportunity to learn the systems and philosophies that drive teams and individuals to succeed. His coaching is grounded in these methods which demand hard work, discipline, strong fundamentals and relentless work on skill development for players at all levels. As a coach, John spent 6 years at the collegiate level with stints at both William Jewell College and Ottawa University. Even when not coaching for a college team John was working out players of all levels in skill development sessions and camp settings. 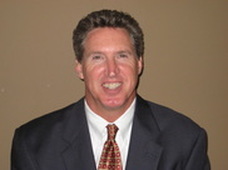 As a consultant, John spent over 15 years with Troutwine & Associates, a psychological consulting firm, which is widely known for its work with teams in the NFL, NBA, MLB and major college athletics. His responsibility at the firm was to work with these top level organizations to gain an understanding of what they value in their team members then assist them in identifying these individuals to draft (or recruit), and develop. As a player, in high school John was selected 1st team All-Metro in Kansas City, twice as 1st team All-State in Missouri, McDonalds All-American Honorable Mention, Converse All-American and Street and Smith All-American (Top 30) while competing for Pembroke Country Day (Pembroke Hill). Some of his scoring achievements still rank in the Missouri state high school record books including 63 points in a single game and 852 points in a single season. In college John was voted to the All-Conference Newcomer 1st Team while a freshman at the University of Colorado. After transferring to Southern Methodist University he was voted team captain and winner of the Z.L. Majors Award as the team MVP. After graduating from college, John signed as a free agent with the Kansas City Chiefs in 1986 and spent 1987 playing professionally in Amsterdam, The Netherlands. John received a B.A. from William Jewell College and a M.S. from William Woods University. He and his wife Ann live in Overland Park, KS with their three children RJ, Libby and Brock.